Becky Koll serves as her partner, Pat Pierson readies. 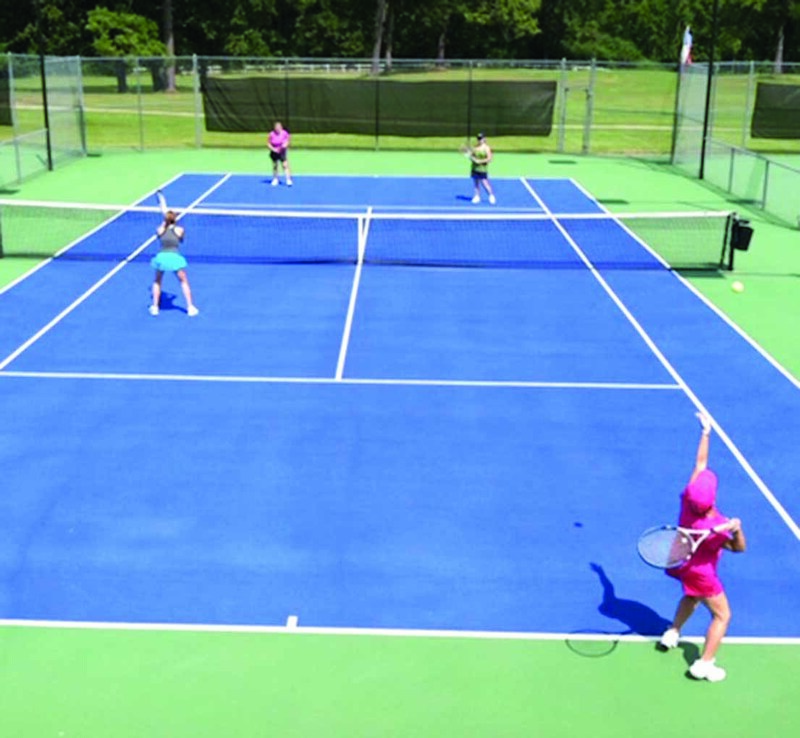 In a heated tennis match April 4, the USTA 3.5 ladies 55 and over local team defeated Shreveport’s undefeated team. The match took place at the Southern Hills Tennis Center in Shreveport. On their way to the finals, the Natchitoches team has already beaten several other teams from the Shreveport area.